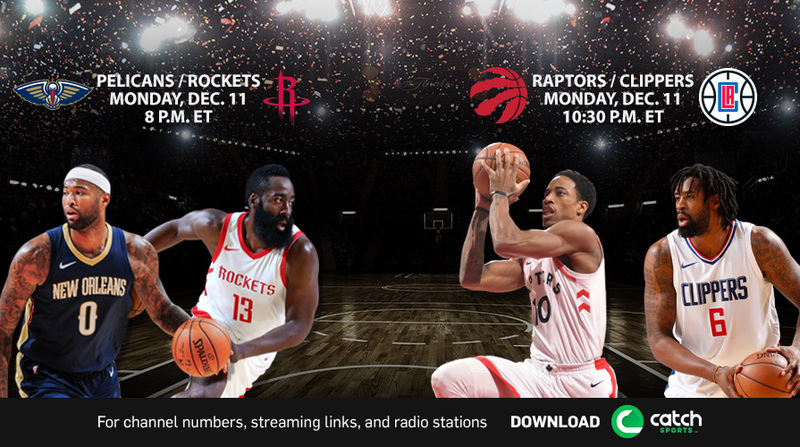 NBA TV’s upcoming live game schedule will be highlighted by five of the league’s top 15 scorers in action – James Harden, Giannis Antetokounmpo, DeMarcus Cousins, Anthony Davis and DeMar DeRozan – as the network’s programming lineup features a pair of doubleheaders on Saturday, Dec. 9 and Monday, Dec. 11. On Saturday, Dec. 9, the Brooklyn Nets, with DeMarre Carroll, will face the Miami Heat and Hassan Whiteside as part of NBA Mexico City Games 2017 starting at 6 p.m. Later that night, the network will air the Utah Jazz with Rudy Gobert vs. the Bucks and Antetokounmpo at 8:30 p.m.
Two nights later, the New Orleans Pelicans – with the dynamic frontcourt of Cousins and Davis – visit the Houston Rockets and Harden, on Monday, Dec. 11, at 8 p.m. The night’s coverage will conclude with the Toronto Raptors and DeRozan visiting the LA Clippers and DeAndre Jordan at 10:30 p.m.
• NBA Inside Stuff, co-hosted by Kristen Ledlow and Grant Hill, will feature an all-new episode Saturday, Dec. 9, at 6:30 p.m. The all-access show will feature Ledlow and Phoenix Suns rising star Devin Booker visiting Topgolf, Hill’s homecoming return to South Lakes High School in Reston, Va., as the Seahawks retire his jersey and Boston Celtics star Kyrie Irving’s playlist. Jam Session will showcase “Good Old Days” by Macklemore. • Later this month, NBA TV’s schedule will feature the Oklahoma City Thunder at New York Knicks on Saturday, Dec. 16, in Carmelo Anthony’s first return to Madison Square Garden following his six-plus years with the Knicks. • Additionally, NBA TV will showcase the Los Angeles Lakers retirement of Kobe Bryant’s No. 8 and 24 jerseys as part of the Lakers vs. Golden State Warriors game telecast on Monday, Dec. 18. • Coming up on Tuesday, Dec. 19, at 11 p.m. ET, NBA TV will premiere its first episode of Players Only Monthly, a new series offering insights into the game from the athlete’s perspective. The first hour-long installment features a wide-ranging and emotional sit-down interview between friends and former fierce competitors Magic Johnson and Isiah Thomas. • NBA TV's Three Point Revolution presented by JBL, an all-new five-part miniseries, during NBA GameTime, will continue Monday, Dec. 11. 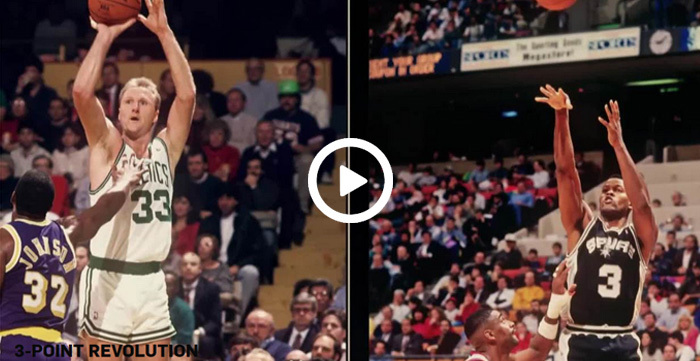 The series, hosted by Casey Stern, examines the growth of the three-point shot throughout the game’s history, including exclusive interviews with the players and coaches who have made it famous. The fourth edition will cover how the game is transitioning to a more positionless approach as “big men” continue to improve as outside shooters. The series’ final vignette will air on Monday, Dec. 18, during GameTime. Three Point Revolution featurettes will also be made available via NBA.com and social media after they air on NBA TV.